3 Star Self-Catering Cottage has 1 double bedroom with FreeviewTV & ensuite bathroom + L-shaped living/dining room with FreeviewTV, 2 seater sofa-beds (sleeps 2 children maximum) + solid pine table and chairs - travel cot offered subject to availability - fully equipped fitted kitchen, private garden & washing machine/tumble dryer. All linens towels heating & equipment included - just bring your clothes and food! Swimming pool Sauna & Hot-Tub is offered subject to availability and an additional fee of £25/day. Lots of parking for all guests & their visitors. We are a friendly family living in the house next to the cottage. Easy to get help from us if and when you need us otherwise we leave you alone to enjoy your stay in our wonderful little cottage and surroundings. 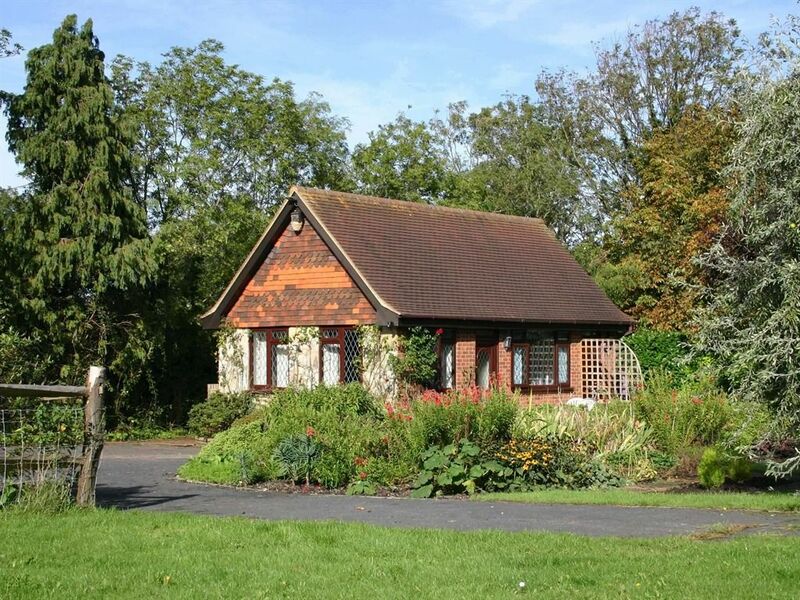 Small but cosy cottage, slightly ageing..
Lovely situated, but very small. Not suitable for more than 2 people really, because the settee's in the living room that fold out as beds, are not very comfortable. The actual bed in the bedroom was however, very comfortable. The cottage has all the amenities and is very well kitted out. It has all you need, all the cooking utensils, pots & pans etc. The kitchen itself is very dated and could do with an update! There is a tv in de bedroom as well as in the small living room. So nothing to fault there. However, when outside you are facing the fence and a have a side view of the downs. This makes you feel boxed in. So bit of a mixed review. Facilities and bed great, location fantastic, but slightly dated and not very nice to sit outside because of the fence. Cottage was very ‘well worn’ inside from the bedding, mis-matched china and sofa beds were in a dreadful state, literally falling apart.